For the first time in four years, EPB is asking its board of directors to approve a rate increase for electric power charges, reports the Chattanoogan. 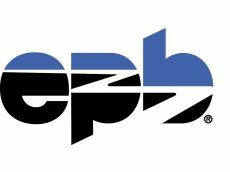 According to EPB, revenue from the Fiber Optic division has kept electric power prices in check for the past four years. Price increases are always a frustration for residents and businesses, but this is actually another example of how the entire community, even those who may not subscribe to EPB's fiber network, have beneifted via reduced energy rates. We wrote about this last in 2012. Officials said this rate increase "is driven by a continuing trend over several years of higher-than-normal costs associated with the greater frequency of devastating storms and by large peak energy demand charges that EPB pays to TVA for power generation. These demand charges are not covered by regular power sales during months with extreme fluctuations in temperature, particularly when there are a few days of extreme temperatures and the rest of the month is much milder." The article also notes that the fiber optic division has made $13.4 million over the past fiscal year. Debt from the investment made to offer telephone services is expected to be paid off this June. [EPB CEO Harold] DePriest said it was "the best investment we ever made."